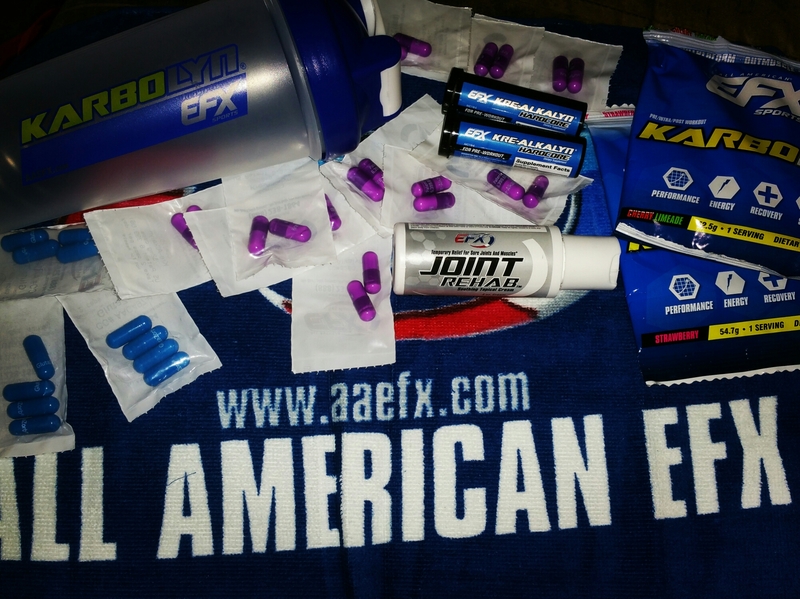 I received this stack from EVL Nutrition in a promotional test to see what I thought. 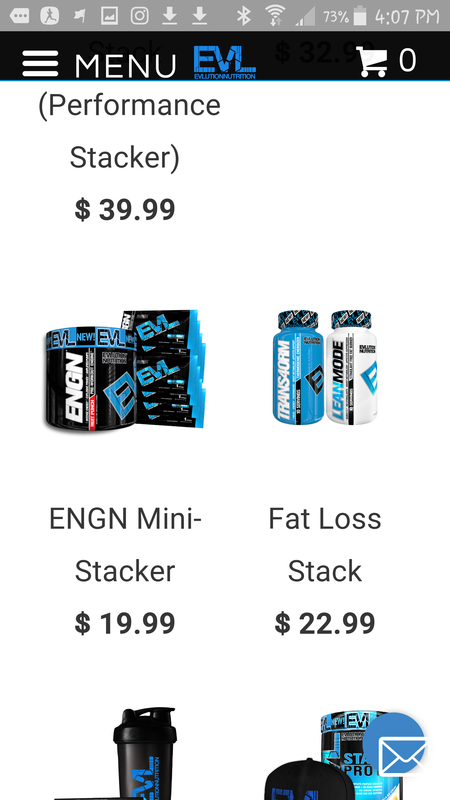 I went to the EVL Nutrition’s website, where the first thing that caught my eye was bodybuilding’s 2015 supplement breakout brand of the year. 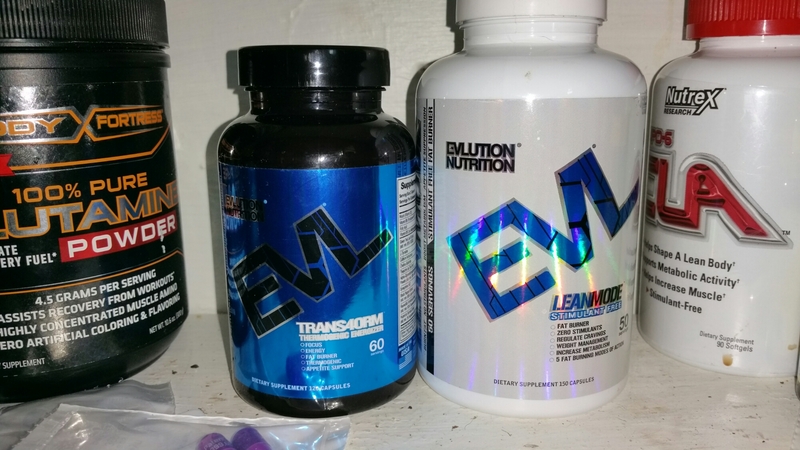 This is EVL Nutrition’s Weight Loss Stack. The stack includes a bottle of Transform as well as Leanmode. 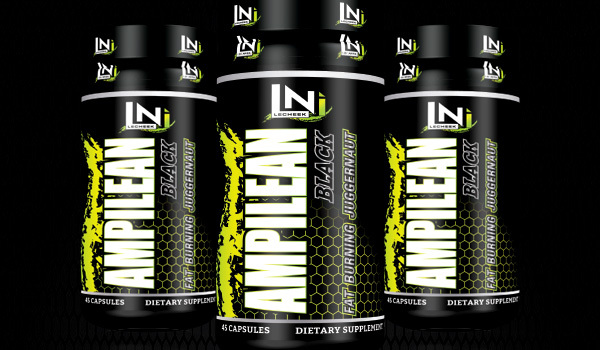 Leanmode is stimulant free so it is perfect to stack with any pre-workout. 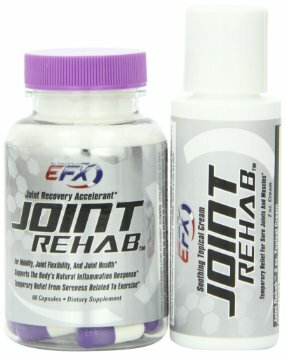 This product does appetite control, metabolism boosting, fat burning, energy-boosting, and mood enhancing. 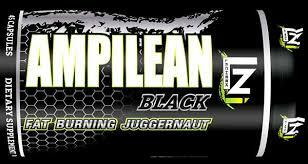 Transform will be a thermogenic fat loss formula. 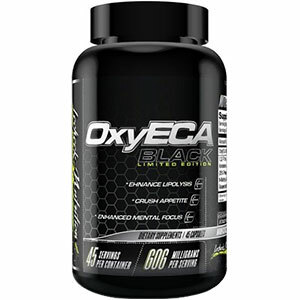 It is scientifically engineered to burn fat, craving control, metabolism-boosting, and increased energy. 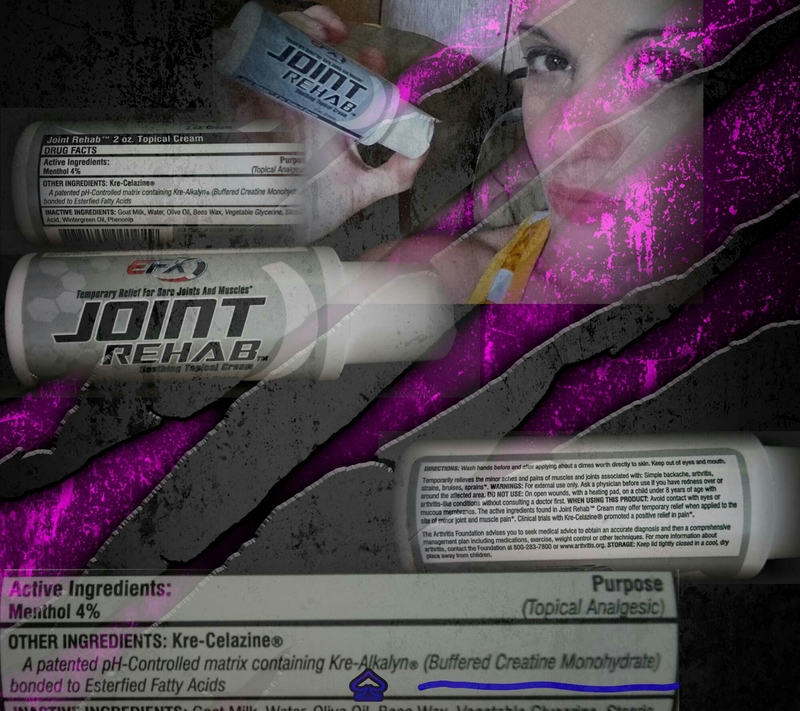 This supplement does have caffeine and other stimulants in it. Pictured above is my stack setting on my supplements shelf. 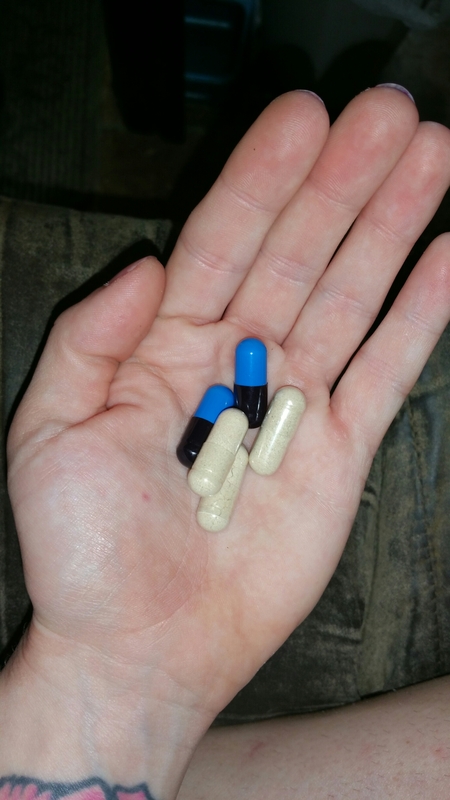 Below is a picture of one dose of each in my hand. Transform, as far as the stimulant, isn’t so extreme that you feel tweaked out all the time. The crash from Transform isn’t as intense as some pre-workouts I’ve taken. 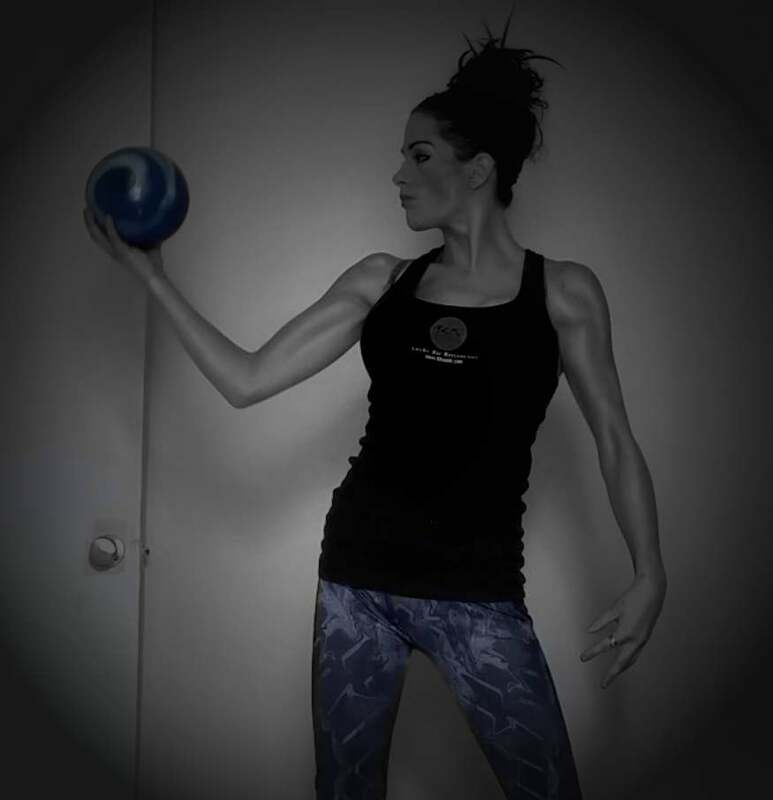 In some sense, that’s not a bad thing, because if you’re not wanting to crush it in the gym for two to three hours there’s no point not an extreme stimulant pre-workout. For those just dabbling in pre-workouts this is a perfect snack for you. 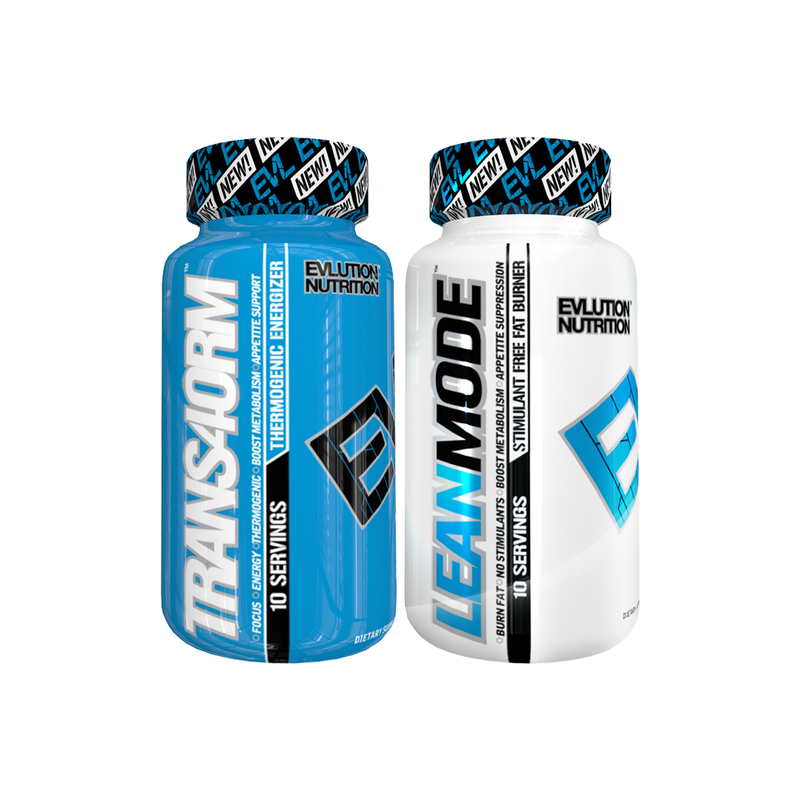 The great thing about Leanmode is the fact that it is stimulant free and you can easily stack it with any other pre-workout that you might take of a different brand. Seeing as I got this free I did research on the pricing on two different websites. 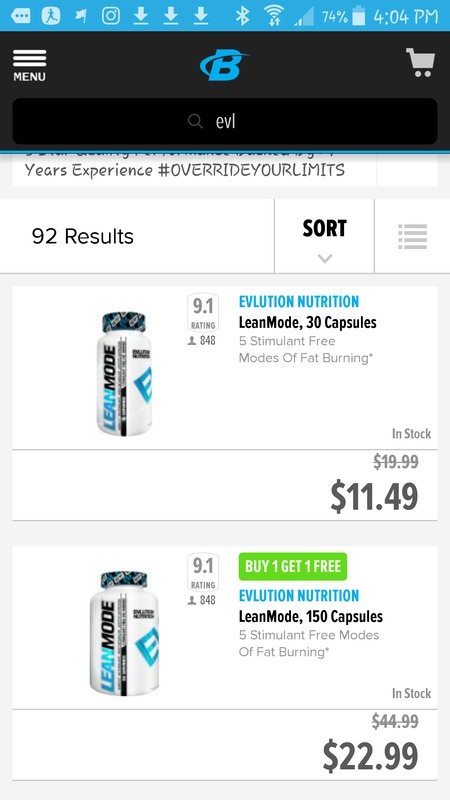 How did the pricing for a EVL Nutritions website as well as Bodybuilding.com’s website. 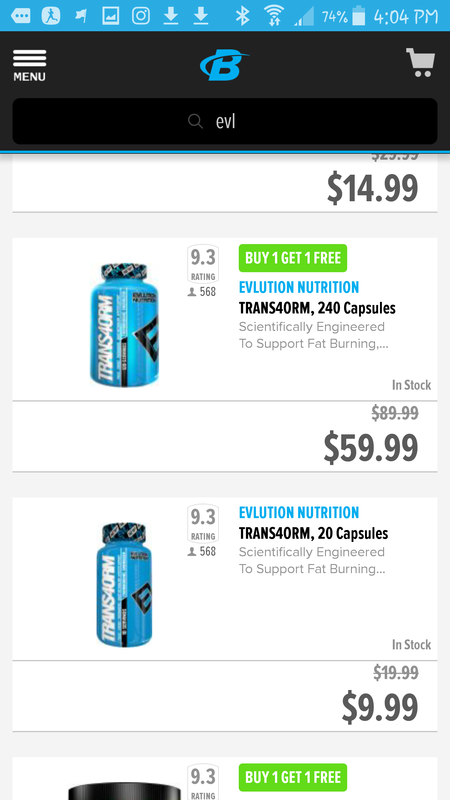 Below will be screenshots of their websites with pricing, and below that will be links to their both their websites. I did not want to do this review till after I’d taken the entire stack. With this stack I was capable of maintaining great muscle mass while leaning out all at the same time. 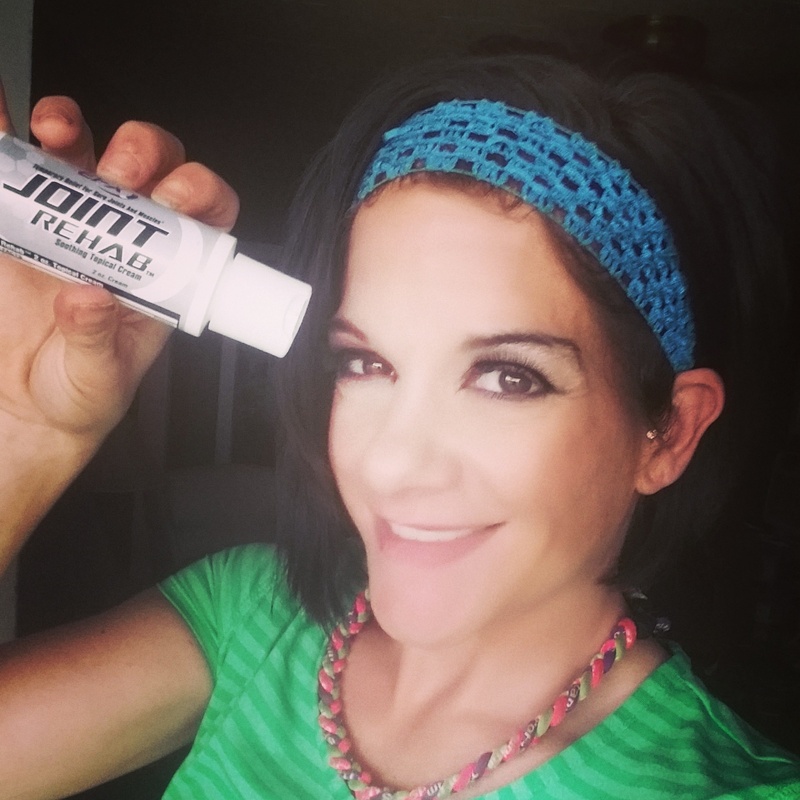 The water loss on these products was amazing! I don’t look at the scale as far as my weight going down because I’m trying to build muscle mass, my weight went up 5 pounds and I dropped a pant size. So for me that’s perfect! 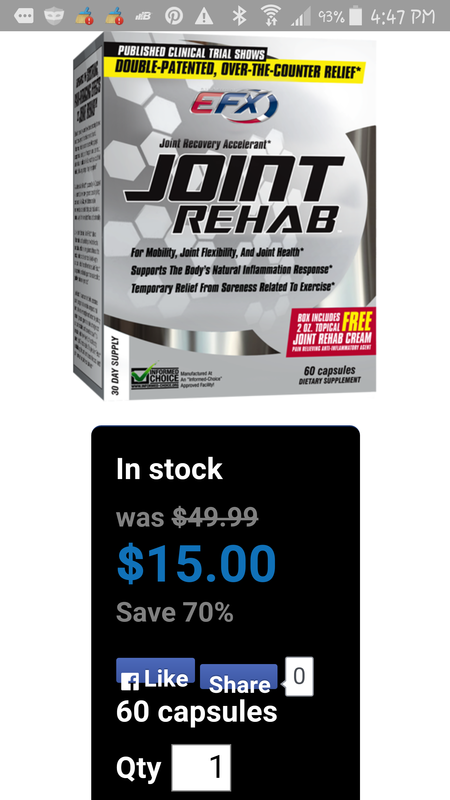 If you’re new to bodybuilding or wanting to lose weight this stack is perfect for you. 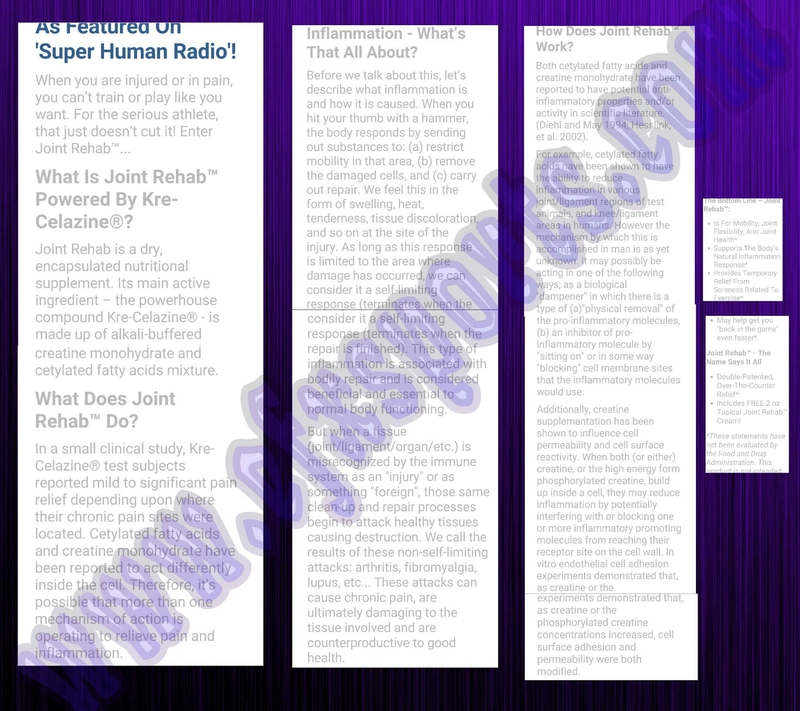 If you’re an experienced bodybuilder such as myself this stack might be a little less than what you’re needing. If anything, it’s worth a try because it was worth the time for me. Plus the product is not expensive. So if you don’t like it you’re not out a ton of money! The average rating on bodybuilding.com ranged from 9.1-9.8. Not a bad statistic for bodybuilding.com!